While most eyes are on Florida, a vote counting battle is brewing in the Northeast too. 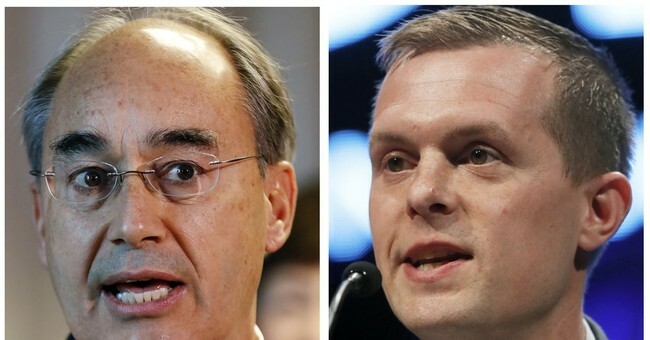 Rep. Bruce Poliquin (R) is holding on to a razor thin lead in Maine's second congressional district over Democratic state lawmaker Jared Golden. For the first time in the U.S., a congressional race is going to be decided via ranked-choice voting. "This will either fuel the adoption of ranked-choice voting in other jurisdictions, or it will stop it in its tracks,” said Corey Cook, dean of the School of Public Service at Boise State University. Poliquin is hoping for the latter. He's suing Maine Secretary of State Matthew Dunlap to stop the ranked-choice system. “Instead of respecting this important constitutional principle, the RCV Act directly contravenes it by denying individuals who obtained the highest number of votes after the first round of balloting – in this case, Bruce Poliquin – from being declared the winner of the general election,” the lawsuit reads. The plaintiff attorneys are asking the state to "preserve the status quo." Poliquin is currently leading Golden by just 2,000 votes.